New to life coaching? Wonder what all the fuss is about? The Beginner's Guide to Life Coaching provides a comprehensive overview of this hot topic. We'll examine the inner workings and uncover the secrets of this intriguing new self-help profession. 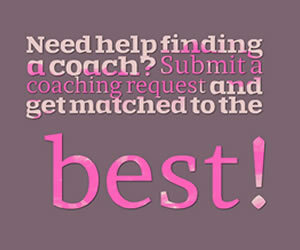 Find out if you could benefit from having a coach in your corner. The Beginner's Guide to Life Coaching is an in-depth look at how life coaching works, what a life coach does, and how you might be able to bring one into your own life. You've undoubtedly heard the term life coach bandied about in cocktail chatter and in TV shows such as Starting Over and Scott Baio is 45… and Single. You may even know a few people who have worked with a coach. If you're reading this guide, chances are you are curious enough to want to find out about this 21st-century profession and if you should make space in your life for a coach of your own. Well, in a nutshell, life coaching is a method of directed conversation that is geared toward developing an action plan to reach your goals. Your life coach will be very solution focused, and treat you as a partner instead of a patient. People partner with life coaches to help them attain greater success in their lives, get past sticking points and stumbling blocks, and start achieving their goals. The origins of life coaching and how it has gained in popularity. What life coaching really is, and why it's based around conversations and questions. How life coaching works: The coaching process, and the anatomy of a coaching session. Whether life coaching is for you, and whether it's worth the time and money. What happens when you become a coaching client. Differences among life coaching niche areas. What coaching tools and techniques your coach will use with you.